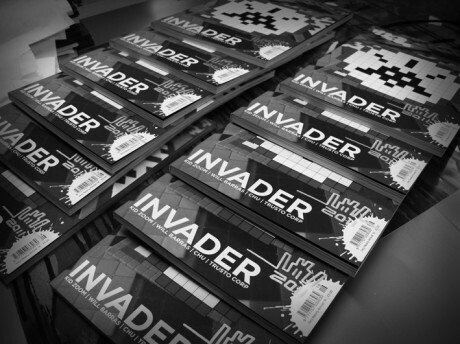 Issue 16 of Very Nearly Almost has dropped and the cover story features the Parisian legend that is, Invader. Unfortunately the signed, screen-printed editions sold out within 10 minutes at the launch party. Inside, you can find interviews with Kid Zoom, Will Barras, Chu, Trusto Corp, The Dead Sea Mob and much more. As usual, the magazine documents recent street art and graffiti from around the globe, covering Paris, Melbourne and London.